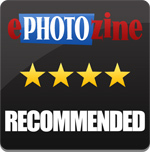 Daniel Bell reviews the Muku Shuttr, a bluetooth remote camera shutter that can be used with iOS and Android devices. The Muku Shutter is a bluetooth remote camera shutter which is designed to work with iOS and Android devices. For iOS devices and many Android devices, there is no need for any third party apps, just pair the devices and load up your camera app. It is available now in black or white for £25 from OnPointUK. The Muku Shutter has a hole in so you can attach it to your keys, making it easy to carry around. This also means you're less likely to leave it at home by accident. It is small, so will be just like attaching a keyring. The design is simple, it has a large button on the front to fire your shutter, there is a slider on each side, one to switch the remote on and the other to switch between iOS and Android. It really is as easy to setup as Muku claim and will work with any camera app, so you can use it with the default camera app on your device, or any other you have downloaded, excellent! The remote does work to the full 10m unless you start going round corners or behind doors. If you lose the connection the green light goes off. To reconnect you just need to get back in range and press the shutter button. You can use the shutter release for continuous shooting, by holding it down. 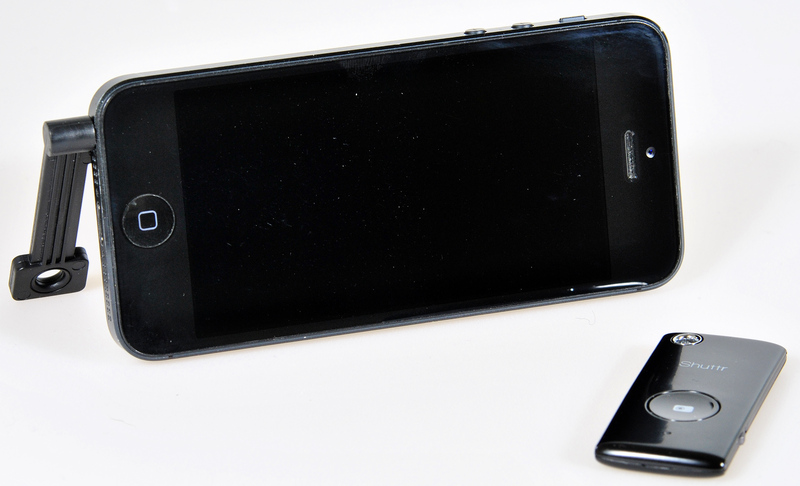 We managed 2.4 fps when using an iPhone 5. If you want to use the release to record video, you need to make sure your camera is set to video, then press the shutter release to start and then again to end recording. We have reviewed the Belkin LiveAction Camera Remote, which does a similar job, but crucially, it relies on you using the dedicated app to take your pictures and videos. 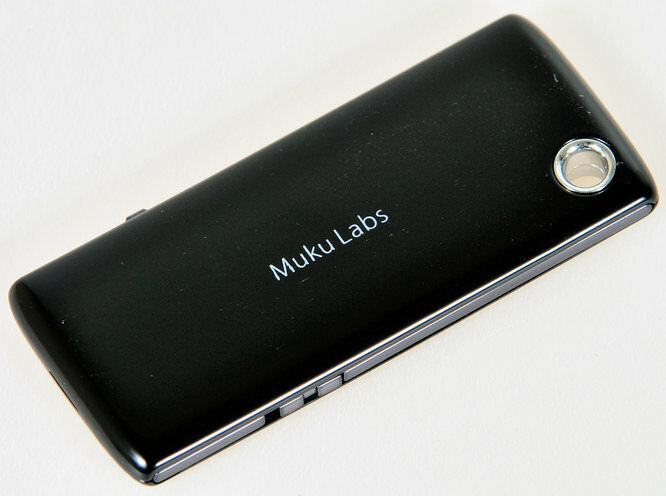 Clearly, where the Muku Shuttr differs, is that it will work with any of your camera apps, whether it be the built-in app or any other apps which you have downloaded. The Muku Shuttr has also been designed to work with iOS and Android devices and you can use it for high-speed continuous shooting as well. 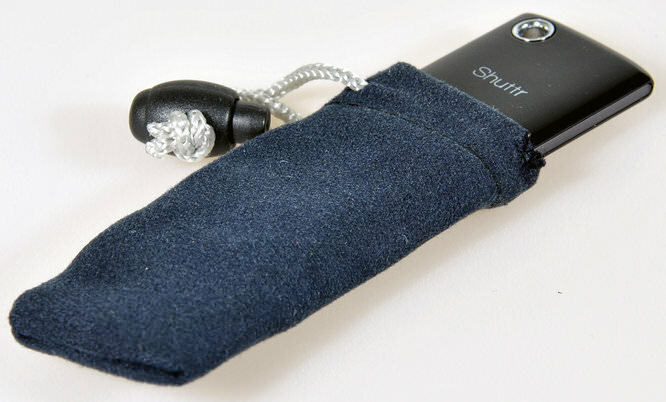 The Muku Shuttr is available for £25 from OnPointUK. 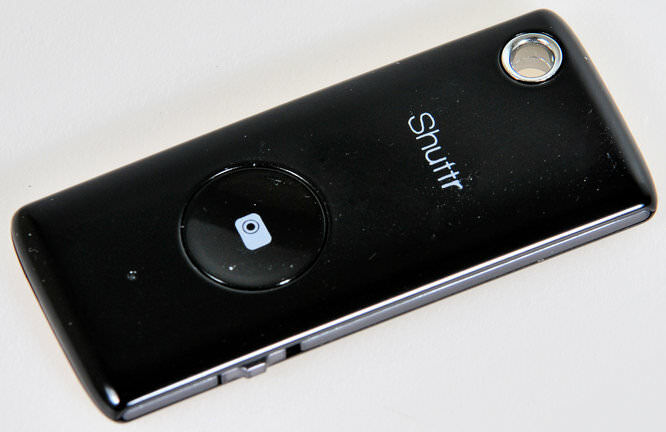 The Muku Shuttr Bluetooth Remote Camera Shutter is simple, yet extremely useful for iOS and Android photographers. As a selfy enthusiast, i can see where this item fits in, but really, as bad as self mobile phone portraits are, i quite like the[i] facebook profile pic[/i] look now, and there is something comforting about seeing just the headshots, with an arm vanishing (the one holding the iphone...) i am used to it now, i think we all are, so i cant see this item doing all that well, only among smart phone 'tography enthusiasts anyways, but its appeal is very limited, a nice novelty item that most would use once or twice, then forgotten about. As a selfy enthusiast, i can see where this item fits in, but really, as bad as self mobile phone portraits are, i quite like the facebook profile pic look now, and there is something comforting about seeing just the headshots, with an arm vanishing (the one holding the iphone...) i am used to it now, i think we all are, so i cant see this item doing all that well, only among smart phone 'tography enthusiasts anyways, but its appeal is very limited, a nice novelty item that most would use once or twice, then forgotten about.